Professionally made LED Flounder Gigging Lights and Flounder Gigs...! 40 - 50w LED "Flounder Finder 6000"
Flounder Finder 6000 features 40/50 watts power rated at 4800-5200 lumen. Light pattern (side to side) is VERY wide with this light. LED is encapsulated in optically clear silicone making it waterproof. Also available with two 20w LEDs in the Neutral white color. The Neutral White color is the brightess and most popular in this model. Don't let the lower wattage fool you... This light is very BRIGHT and uses LESS battery power. It is NOT available in warm white. the Battery Charger, and a Backpack. and one two prong walking gig. but there is an obvious and noticeable difference between the two colors. ABOUT "THE FLOUNDER FINDER" LIGHT: This light is constructed with the finest in LEDs... The 30w LED (made with premium LED diodes) provides 3300-3500 lumen of brightness over a large area in front of you. The power draw is a modest 1.4 amps 12v DC. The handles of these lights are constructed of schedule 40, 1" PVC to provide strength and long life for the gigging light. These are professional quality, hand made lights, built with care and attention to EVERY detail. This light is for gigging flounder while walking and is to be held underwater. This light is intended to be submerged, but may also be used out of water for limited periods of time. These are great flounder gigging lights and will provide many years of use. Extremely bright, light weight, easy and comfortable to carry. BATTERY FOR LIGHT: The battery for these lights can be easily carried in a backpack, fanny pack, or an over the shoulder type camera case. The battery is not included in purchase, but is available here on our website (see package deal), or you can easily buy it locally. A 4.5 Amp Hour battery should last for 2 1/2 to 3 hours. A charger rated at 1amp is suggested. COLOR OF LIGHT: These LED flounder lights have the Warm White (3200-3500K) or the NEUTRAL white (4200-4500K) color. We also have a limited supply of LEDs that are rated whiter, color of 5000-5500K. All are excellent LEDs built with the finest 45 and 50mil premium led diodes. If you want the more white 5000-5500K color, contact us prior to making your purchase as it is not a choice from the shopping cart above. WARRANTY: **Our new Flounder Finder light, the Flounder Finder II, and the Flounder Finder III light have a one year warranty with the exception of lights that show evidence of abuse, modification, neglect, improper maintenance, or intentional or accidental misuse or damage. 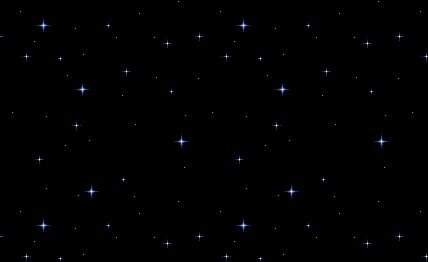 Take care of the light and it will give you many years of trouble free use. etc.) The warranty is under no circumstances transferable to any other party that is not the original buyer of the Product. The user of the light must be able to provide proof of purchase. This warranty only covers a Product that is purchased directly from GigFlounder.com. 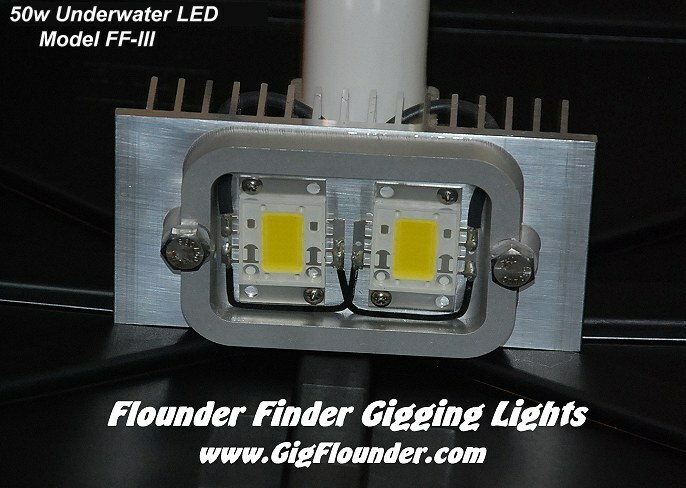 In the case the model of light is no longer manufactured, the then current closest functionally equivalent replacement light will be used as determined by GigFlounder.com technician. This website contains lots of information about flounder lights, flounder gigging, flounder gigs, flounder gigging lights, led flounder lights, flounder boats.